Taurus Horoscope 2019 has brought a lot of surprises. 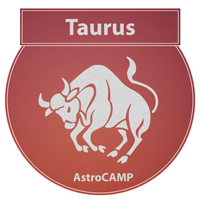 People with Taurus zodiac sign will be cherishing promotions, and gain in wealth through business. Students may go abroad for higher studies. Familial life and love life will also blossom. Let’s consider each aspect of Taurus zodiac sign in detail here. People with Taurus zodiac sign will have a financially stable period during this year. Gains and profits will lead to a continuous inflow of income. However, you should not spend recklessly without giving a second thought. During the time between the month of January and April, you will receive money, either in the form of monetary gains or you will get back your money by someone who borrowed it earlier. You need to be cautious in money related matters during the second half of the year. Do not make investments in haste and think well before lending your money to anyone. You might gain from parental or ancestral property, but at the same time you might have to take loan or borrow money in order to fulfill your duties. An increase in your expenditure will be balanced by an increase in your income. Try not to disrupt the balance by spending extravagantly. Business related journeys will beget fruitful results. The year will not pose any financial threat to you if you take all your decisions wisely by taking into account the prevailing market trends and the nature of investment that you make. Get the Finance Horoscope Report to know how to make money in the year 2019. According to the predictions of 2019, the year would be above average for your career. You will able to reap the fruit of your hard work and dedication. You will have a relationship of mutual support and admiration with your colleagues and seniors at your workplace. Higher authorities will heap praise upon you for your efforts and performance. During the months of March and April, you might get a promotion or an accretion in your salary. With your talent and creative abilities, you will be able to supercede your enemies. People with Taurus zodiac sign involved in business should weigh all the pros and cons before investing money. The year will be conducive for the growth of new business enterprises and entrepreneurships. Do not entangle yourself in conflicts and try to act with a mature approach when the going gets tough. Those who are involved in government jobs will be showered with a number of benefits during this year. Engineers would be able to lay the cornerstone of their career and will progress at a rapid pace towards their success. The natives who are into management or hospitality jobs will also receive benefits during this year. Those who are in media profession would need to stay patient and continue with their efforts as the year would be testing their dedication and patience. You should not lose hope during any tough phase that you might across. Believe in yourself and continue your hard work and you will eventually be able to achieve success. You should not take shortcuts to reach your goals as it can backfire and pose trouble in your life. The year 2019 will be special for the students. Students will focus on their studies and their dedication would be at the peak. Those who are involved in higher education will immerse themselves completely in their studies in order to achieve their goals. It is anticipated that some students will get an opportunity to go abroad for educational purposes. Along with academics, brain teasing activities will pique your interest. People with Taurus zodiac sign will shine bright if you take part in any competition related to education. Those Taureans who are preparing for civil services will be satisfied with their results. Your luck will favour you all through the way, but you would need to put in your efforts in order to get the desired outcomes. Your sincere efforts and hard work will lead you to success. The students who are aiming to crack the entrance of IIT and other reputed colleges will need to be more focused on their studies if they want to achieve what they aim for. Getting enrolled in a foreign institute might be your dream, but if you do not enquire well about the institute and its affiliations, so that you do not have to face harsh consequences later. Postgraduates who have completed their MBA would be able to bag a good job for themselves in a multinational company. Tourism students will be able to perform well in their studies. They will be able to get good jobs as well. Indulging in immoral activities will prove to be toxic for the students born under the Moon Sign Taurus. They would suffer if they indulge in any such activity as it would taint their image and deviate their attention from their studies, affecting their academics in the long run. This is going to be an amazing year for your domestic life. Peace and harmony will prevail in your home and there will be an atmosphere of joy and glee. You will prosper with the blessings of your elders. Your siblings might be subjected to physical pain. Your parents will be in a fine fettle. Make sure to treat them with the respect and honour that they deserve. Your father might be showered with monetary gains during this year. However, his health might dwindle within this period, which needs to be taken care of. The Taurus horoscope 2019 predicts, there might be a function or party in the house of your in-laws. You will get a chance to meet your distant relatives in such a social gathering. Your siblings will be able to make a name for themselves at their career front, which will boost the confidence of your family members and will give them a happiness that they were longing for. Some people might be jealous of the prosperity and joy in your family and would try to disrupt the peaceful conditions of the family by creating misunderstandings and rifts in the family. The second half of the year might bring up some issues over which you might have a difference of opinion with your siblings. However, everything will eventually fall into place as it is well-known that blood runs thicker than water. Harmony will prevail at your home front and you will be able to achieve your goals by the blessings of your parents. Respect your parents, treat them well, and do not indulge in any kind of activity that might besmirch their image in the society. The first half of the year will be a rapturous period for your married life. You need to take care of your partner's health. During the latter half of the year, there will be a number of reasons for celebration, which will bring you and your partner closer to each other. You will get you hear some good news from your spouse. Your spouse will shine bright at their workfront. Your spouse will be by your side through thick and thin. Making them a part of your decision making process would prove to be more effective for you in the long run. This will further intensify the bond between both of you. Taurus horoscope 2019 suggests you to maintain transparency in your relationship and provide adequate space to each other. Taking care of your children should be of paramount importance. You must be well aware of the activities that they indulge in and then people they hang out with. Try to behave in a gentle and friendly manner with them, providing emotional support at the same time. Your children would tend to be inclined towards outdoor activities during the latter part of the year. Take care of them and ensure that they invest sufficient time in their studies. You might also send them to a summer camp or training classes to embellish their skills. Take care of their health during last few months of the year as they would be prone to falling ill due to changes in weather. A romantic trip with your life partner might rekindle the passion in your relationship. People with Taurus zodiac sign who are in love will be able to experience a wonderful time in the year 2019. You will get to spend time with the one you love and will be consecutively making memories that you will cherish all your life. The stretch of time between April and July might bring up some petty issues, which you need to handle maturely. Do not act stubbornly as it can make a mountain out of a molehill. Try to sort out your problems amicably and trust each other. A new relationship might blossom between the months of August and December. As per the predictions, people will be desperate to get close to you. There is a likelihood of someone proposing you during this year. Do not share your personal life and love life with other people, as it might taint your reputation, says Taurus 2019 horoscope. It looks like you can get married this year. There are chances that you might tie the knot with the one you love as the year seems to be in favour of a love marriage for you. Do not let ambiguity muffle up your love life. Do not associate yourself with a bad company because a man is known by the company he keeps and doing this will harm your reputation in the eyes of your loved one. Do not get drawn to unethical and immoral deals, especially during the mid part of the year. Adhere to a virtuous and decent code of conduct and do not let your resolutions dwindle. You need to take care of your health, failing which it might degrade. You might have to face serious health issues if you do not take the necessary measures to ensure a good health. In case you fall the victim to any health ailment, you should consult your doctor immediately. The first half of the year will be rough for your health, hence you should be extra cautious from January to June. Your mind could be devoid of mental peace, but yoga and meditation will save you from the shackles of the chaotic world. Stick to a healthy diet and avoid eating fast foods and oily food. You should try to take some time out of your busy schedule to give yourself some rest. Take adequate sleep and exercise regularly. Taurus zodiac sign people need not adopt a nonchalant attitude regarding your health, even after the month of June ends. Maintain proper health and hygiene during the months of September and October. Mosquito-borne diseases like chikungunya, malaria, dengue, etc. might hit you during this span of time. Skin problems and related allergies might clutch you in the mid-phase of the year so you need to take the necessary precautions in order to safeguard yourself from them. If, by any chance, you fail to guard yourself against them, make sure to consult a doctor in order to get rid of them as soon as possible. Taurus horoscope 2019 predicts, during the last phase of the year, your health will get better and you would be able to regain your lost energy. You should make the required changes in your lifestyle so as to enjoy the boon of a good health. Get the Health Horoscope Report to keep illness at bay.